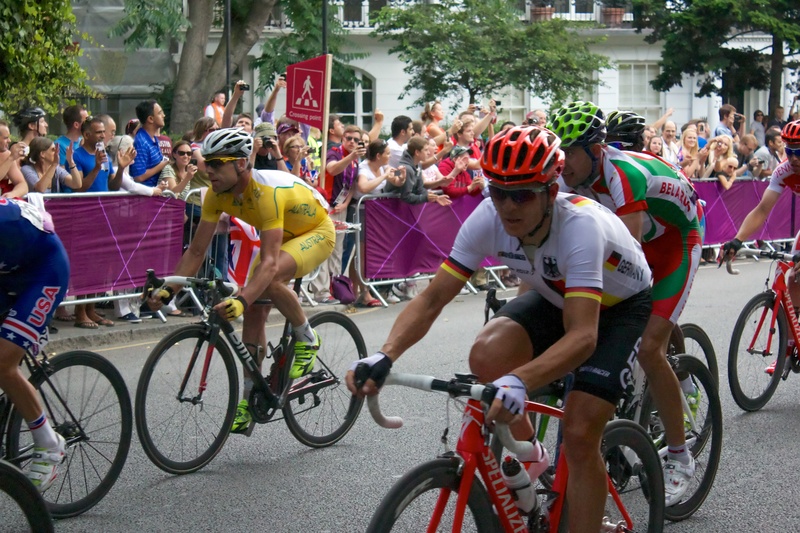 A last minute decision to check out the men’s road cycling took me to South Kensington, a few minutes distance before the end of the race. 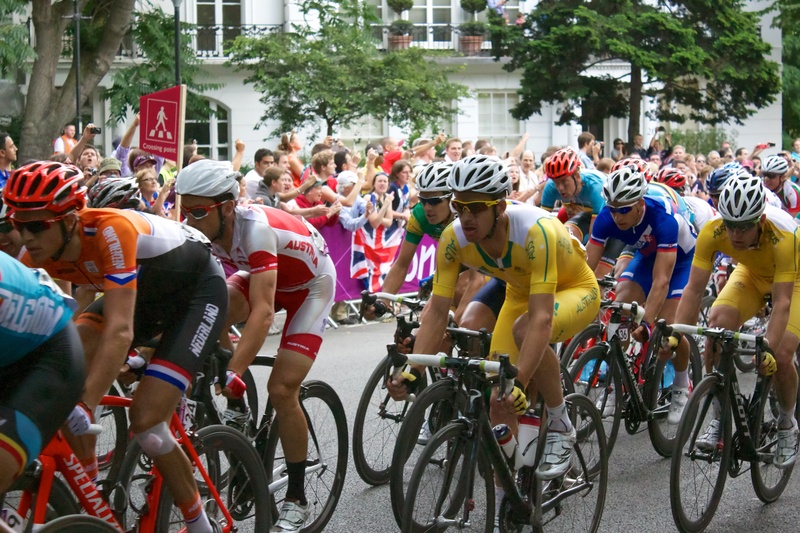 Hopes were high for the UK team after winning the Tour De France the previous week. 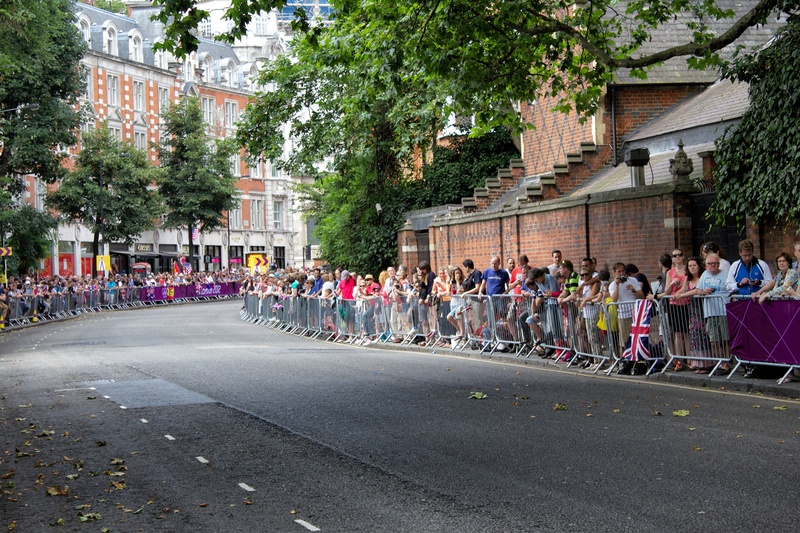 Countless police motorbikes went past, each soliciting a cheer from the crowd, and sometimes a wave from the rider. Finally the cheers became sustained, and before you knew it, cyclists were whizzing past too fast to even see who they were. 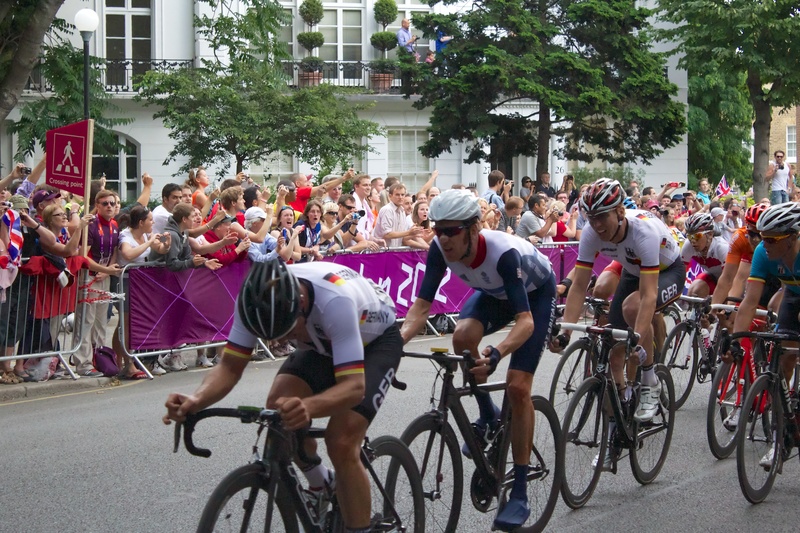 I managed to get a lucky (if slightly blurry) snap of Bradley Wiggins, the first UK winner of the Tour De France. Sadly the UK team didn’t win, but it was fun to see the event take place, even if it was literally over (for me) within a minute.